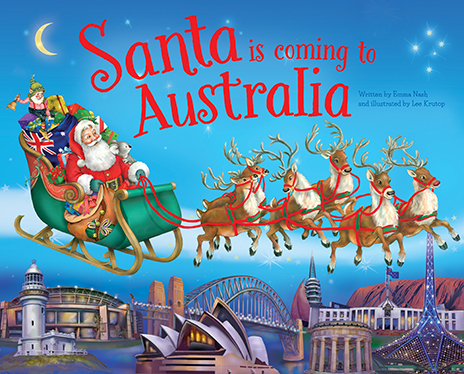 With twenty-five beautifully illustrated titles in the range, there is something for every Aussie child that will excite them the night before Christmas, as they read about all Santa and his reindeer and their journey to Australia on the most magical night of all. Featuring all new artwork by renowned illustrator, Lee Krutop. 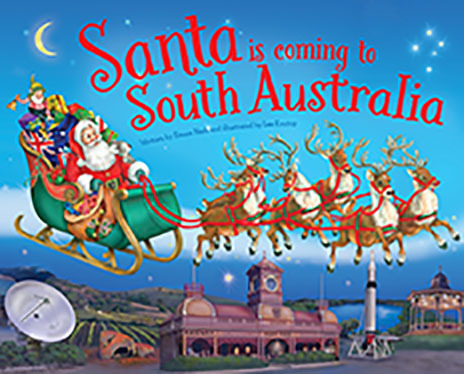 Santa can’t visit until you’re fast asleep, so snuggle up and read what happens on Christmas Eve when things don’t go quite as planned on his way to Australia. Featuring all new artwork by Lee Krutop. 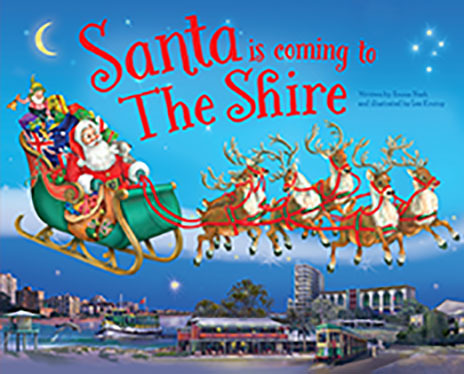 Santa can’t visit until you’re fast asleep, so snuggle up and read what happens on Christmas Eve when things don’t go quite as planned on his way to Adelaide. Featuring all new artwork by Lee Krutop. 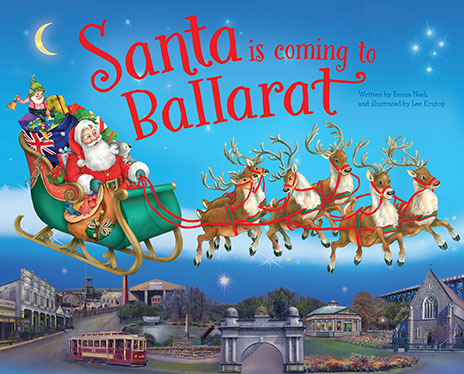 Santa can’t visit until you’re fast asleep, so snuggle up and read what happens on Christmas Eve when things don’t go quite as planned on his way to Ballarat. Featuring all new artwork by Lee Krutop. 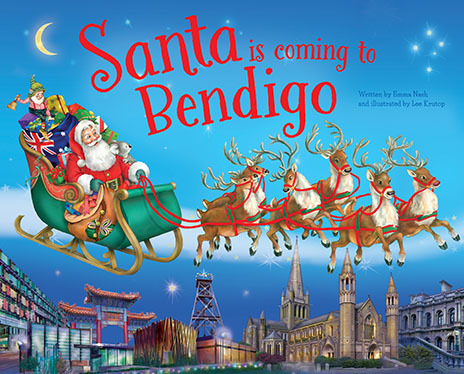 Santa can’t visit until you’re fast asleep, so snuggle up and read what happens on Christmas Eve when things don’t go quite as planned on his way to Bendigo. Featuring all new artwork by Lee Krutop. 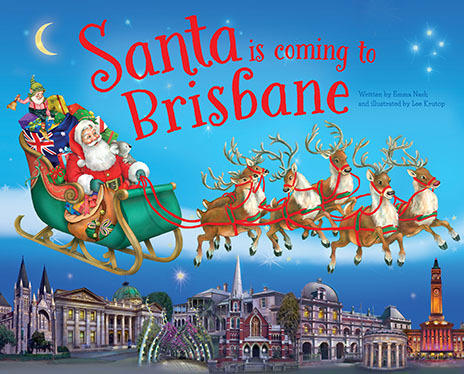 Santa can’t visit until you’re fast asleep, so snuggle up and read what happens on Christmas Eve when things don’t go quite as planned on his way to Brisbane. Featuring all new artwork by Lee Krutop. 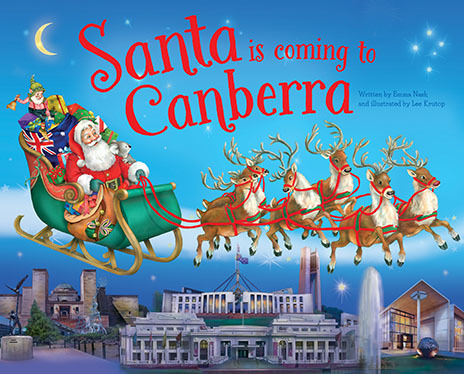 Santa can’t visit until you’re fast asleep, so snuggle up and read what happens on Christmas Eve when things don’t go quite as planned on his way to Canberra. Featuring all new artwork by Lee Krutop. 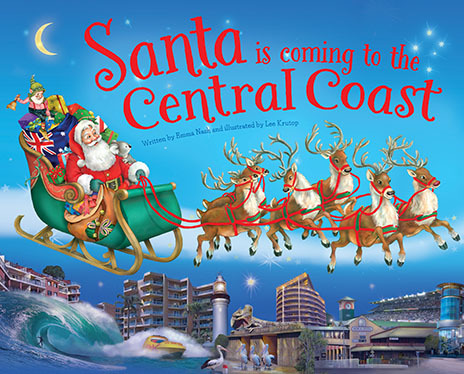 Santa can’t visit until you’re fast asleep, so snuggle up and read what happens on Christmas Eve when things don’t go quite as planned on his way to the Central Coast. Featuring all new artwork by Lee Krutop. 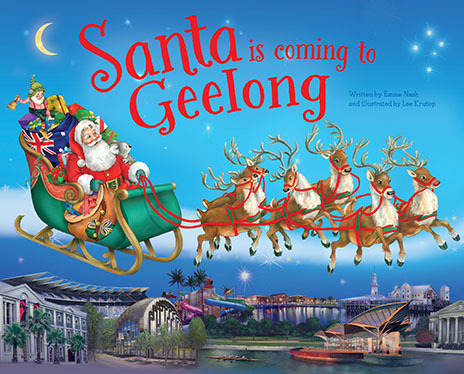 Santa can’t visit until you’re fast asleep, so snuggle up and read what happens on Christmas Eve when things don’t go quite as planned on his way to Geelong. Featuring all new artwork by Lee Krutop. 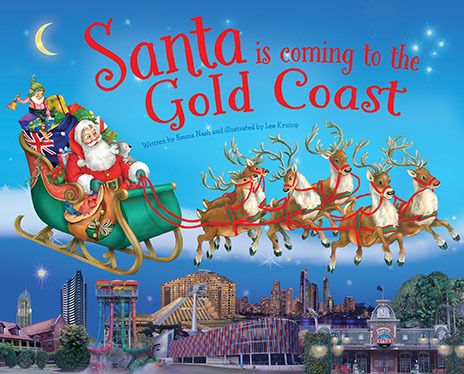 Santa can’t visit until you’re fast asleep, so snuggle up and read what happens on Christmas Eve when things don’t go quite as planned on his way to the Gold Coast. Featuring all new artwork by Lee Krutop. 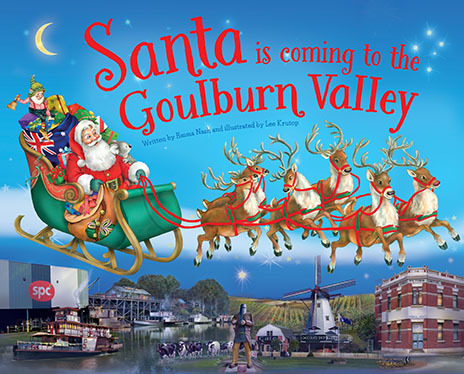 Santa can’t visit until you’re fast asleep, so snuggle up and read what happens on Christmas Eve when things don’t go quite as planned on his way to the Goulburn Valley. Featuring all new artwork by Lee Krutop. 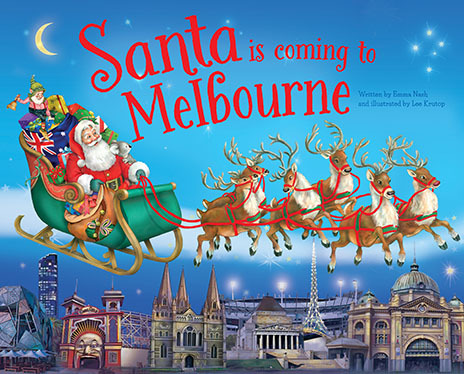 Santa can’t visit until you’re fast asleep, so snuggle up and read what happens on Christmas Eve when things don’t go quite as planned on his way to Melbourne. Featuring all new artwork by Lee Krutop. 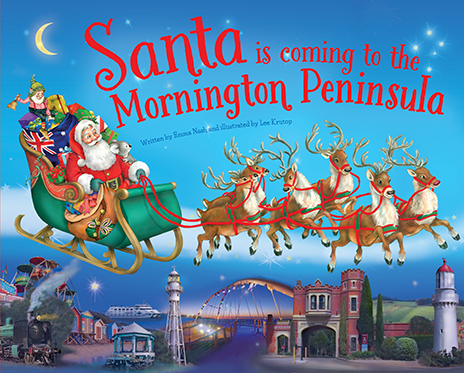 Santa can’t visit until you’re fast asleep, so snuggle up and read what happens on Christmas Eve when things don’t go quite as planned on his way to the Mornington Peninsula. Featuring all new artwork by Lee Krutop. 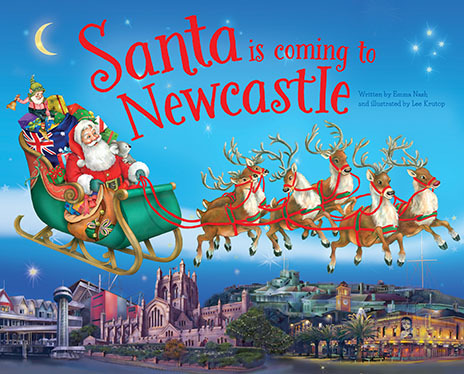 Santa can’t visit until you’re fast asleep, so snuggle up and read what happens on Christmas Eve when things don’t go quite as planned on his way to Newcastle. Featuring all new artwork by Lee Krutop. 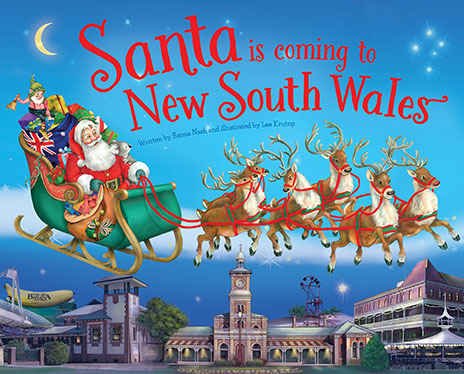 Santa can’t visit until you’re fast asleep, so snuggle up and read what happens on Christmas Eve when things don’t go quite as planned on his way to New South Wales. Featuring all new artwork by Lee Krutop. 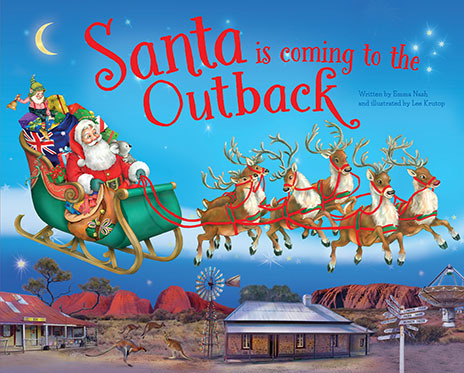 Santa can’t visit until you’re fast asleep, so snuggle up and read what happens on Christmas Eve when things don’t go quite as planned on his way to the Outback. Featuring all new artwork by Lee Krutop. 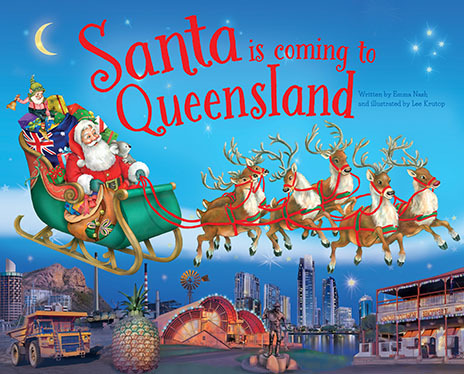 Santa can’t visit until you’re fast asleep, so snuggle up and read what happens on Christmas Eve when things don’t go quite as planned on his way to Queensland. Featuring all new artwork by Lee Krutop. 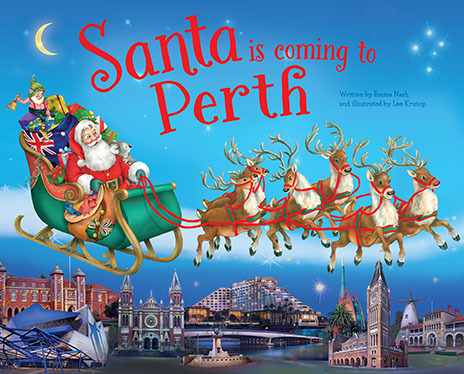 Santa can’t visit until you’re fast asleep, so snuggle up and read what happens on Christmas Eve when things don’t go quite as planned on his way to Perth. Featuring all new artwork by Lee Krutop. 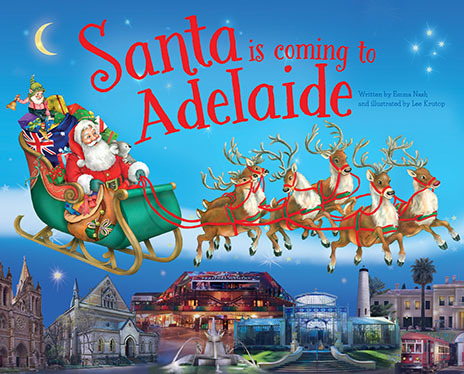 Santa can’t visit until you’re fast asleep, so snuggle up and read what happens on Christmas Eve when things don’t go quite as planned on his way to South Australia. Featuring all new artwork by Lee Krutop. Santa can’t visit until you’re fast asleep, so snuggle up and read what happens on Christmas Eve when things don’t go quite as planned on his way to The Shire. Featuring all new artwork by Lee Krutop. 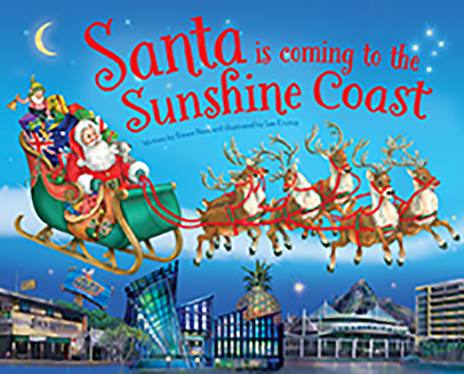 Santa can’t visit until you’re fast asleep, so snuggle up and read what happens on Christmas Eve when things don’t go quite as planned on his way to the Sunshine Coast. Featuring all new artwork by Lee Krutop. 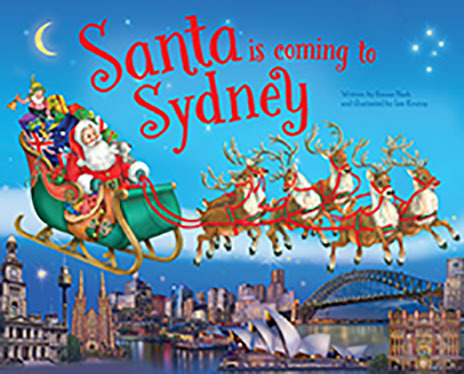 Santa can’t visit until you’re fast asleep, so snuggle up and read what happens on Christmas Eve when things don’t go quite as planned on his way to Sydney. Featuring all new artwork by Lee Krutop. Santa can’t visit until you’re fast asleep, so snuggle up and read what happens on Christmas Eve when things don’t go quite as planned on his way to Tasmania. Featuring all new artwork by Lee Krutop. 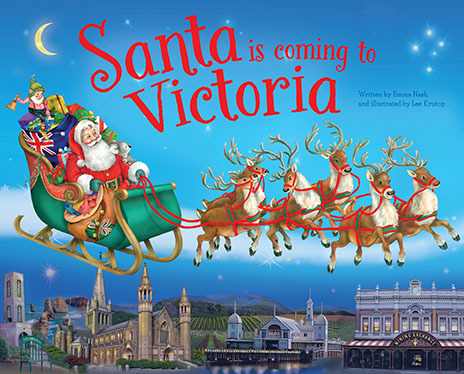 Santa can’t visit until you’re fast asleep, so snuggle up and read what happens on Christmas Eve when things don’t go quite as planned on his way to Victoria. Featuring all new artwork by Lee Krutop. 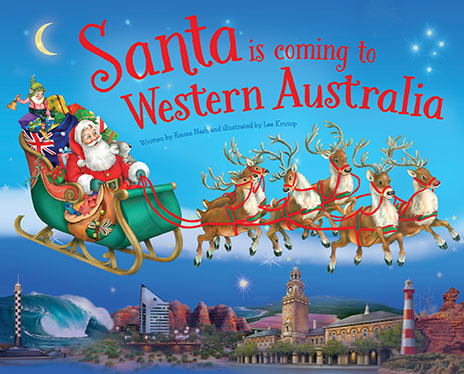 Santa can’t visit until you’re fast asleep, so snuggle up and read what happens on Christmas Eve when things don’t go quite as planned on his way to Western Australia. Featuring all new artwork by Lee Krutop. 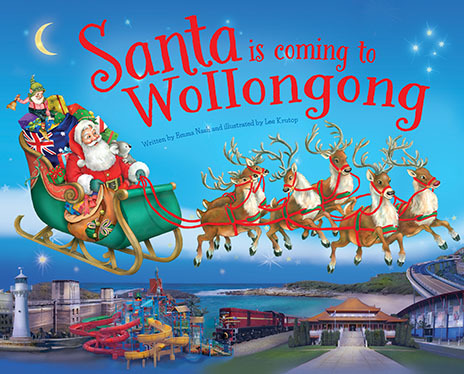 Santa can’t visit until you’re fast asleep, so snuggle up and read what happens on Christmas Eve when things don’t go quite as planned on his way to Wollongong. Featuring all new artwork by Lee Krutop.